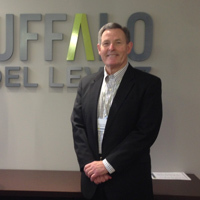 Rob Parrent, VP, Enrollment Management, joins the enrollment management advisory board of Ruffalo Noel Levitz. Rob Parrent, vice president of enrollment management, was recently named to the enrollment management advisory board of Ruffalo Noel Levitz, a nationally recognized higher education consultant for enrollment and fundraising management. Parrent will advise on strategies for student marketing and recruitment and effective programs to help colleges better serve their students. He joins more than 30 other experienced leaders who represent public, private, and two- and four-year colleges and universities. Based in Cedar Rapids, Iowa, Ruffalo Noel Levitz assists colleges and universities in reaching their goals for student recruitment, marketing, financial aid, student success, and donor engagement.